Few events in recent memory have captivated the world’s attention like that of Barack Obama’s historic presidential campaign. Not only did it stir passionate political momentum, but it also inspired the creative talents of a world of artists, illustrators, and graphic designers. 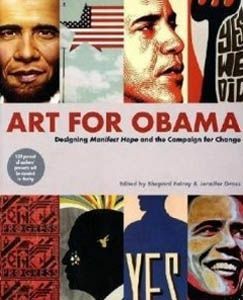 Shepard Fairey’s iconic Hope portrait became the face of the campaign and, more than ever before, innovative graphic design became a central strategy for winning the race.